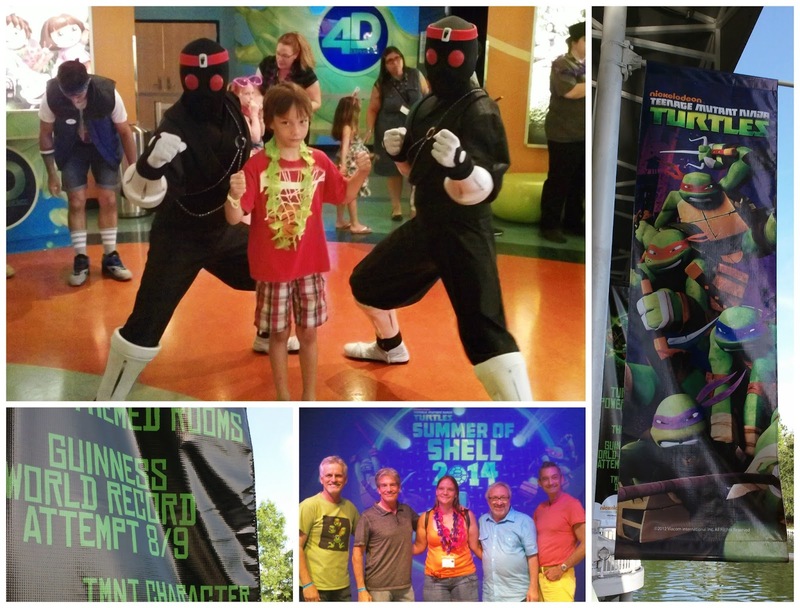 ThemeParkMama: TMNT at the Nick Hotel! OMG ITS THE TMNT!!!! That's what you will be hearing for the next few months at the Nick Hotel Orlando, Florida. As the Teenage Mutant Ninja Turtles take over the hotel. Its so big they are calling the event TMNT Summer of Shell celebration which runs from May 23rd through September 1st! What does this all mean!?! New suites, new shows, and more. I had the chance to meet the original cast of the TMNT from when I was a child, the guys who played the voices are pretty cool themselves like the characters they play. From left to right is Leonardo, Mikey, Raphael and Donatello. Which the guy who played Raphael is also now playing Donatello in the new 2000 version of TMNT. The Nick Hotel has a all new pool side show which the main attraction is the TMNT ( we were not able to see it due to weather ) but here is a picture of the set up. We did however get to see a sneak peek of the new show indoors which it is the full cast along with April as well dancing and having fun with the TMNT which kids are later invited to dance with the Turtles! 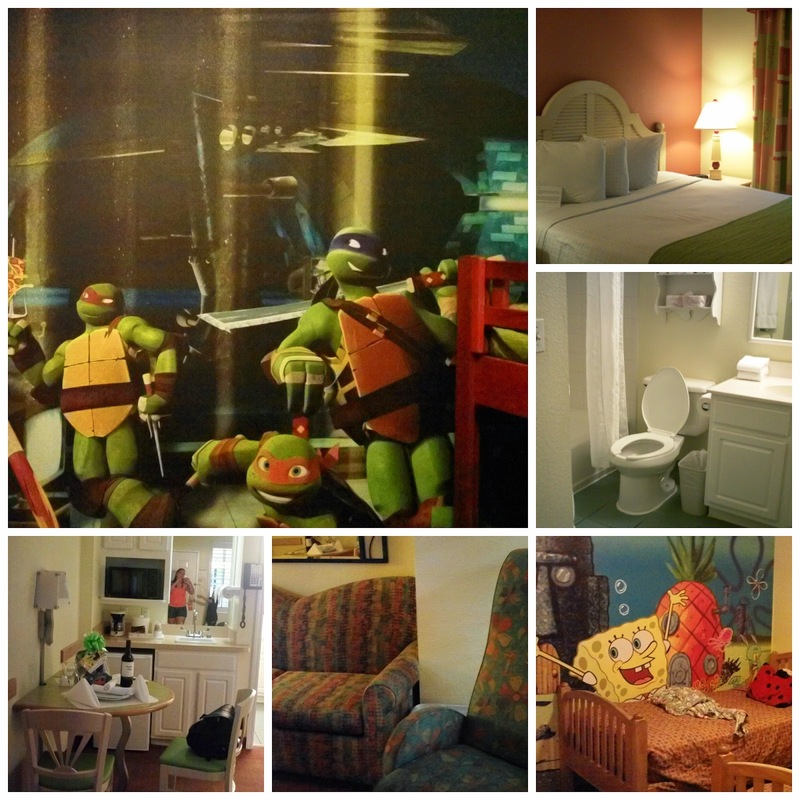 Now at the Nick hotel you also have a new option of suite which is the all new TMNT suite! How great would it be for the kids to sleep in a room with a huge mural painted of TMNT its really nice. On August 9th the Nick Hotel is going to attempt to set the Guinness World Record for most people dressed as TMNT in one location. All guest are welcome to attend! So if your a major TMNT fan this is the day you wanna come and support your turtle! Along with all this going on the Nick Hotel is truly a place for kids and the kids at heart, I know every time we go by the hotel my kids are like wow! Just from the outside you can see some of your favorite Nickelodeon characters like Sponge Bob, Dora, and so much more. The Nick Hotel has a full mall which includes a gift shop, a arcade, pizza place, 2 restaurants and more. Also you have a movie 4D theater (cost extra) which has shows every day all day, along with Double Dare studio which is free to guest but you have to get tickets in advanced the shows fill up fast. There is a stand by waiting though. Each suite at the Nick Hotel comes with mini fridge, microwave, coffee maker, blow dryer, and magnifying mirror. The suites have all different options for room arrangement which can be bunk beds or 2 twins for the kids and of course mom and dad have their own room with a door which makes for some much needed alone time when on vacation. If you wanna come to Florida but don't wanna do the parks this is the hotel to stay at because it offers so much to enjoy and kick back without having to leave the property. 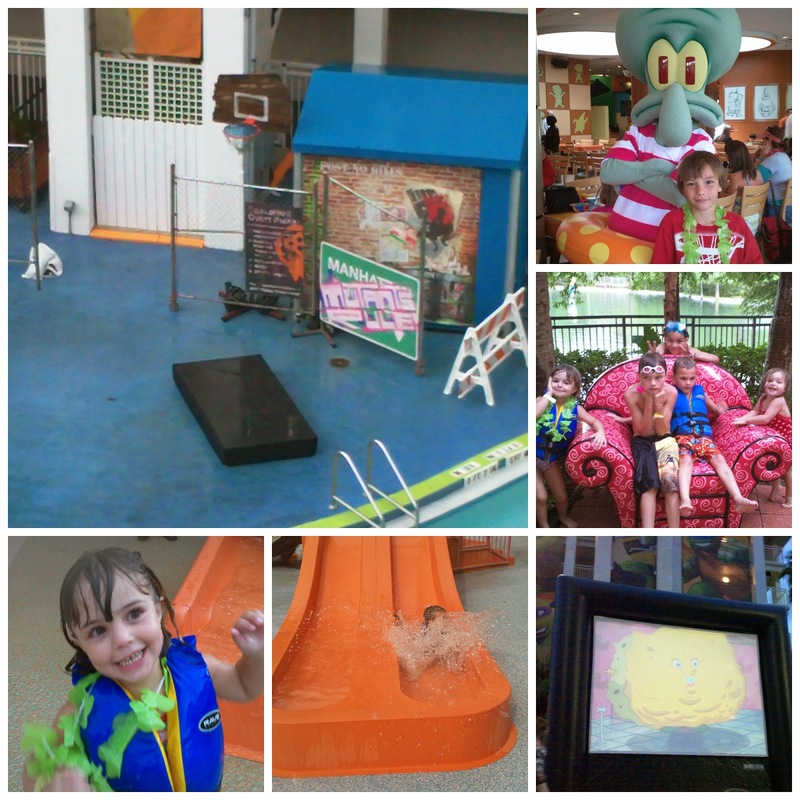 A huge factor of the Nick Hotel is also the massive pool in the center of the main buildings, the pool has a huge set up of slides along with mini golf, hot tubs, basket ball, movies at night, and of course a mass sliming! Yup that's right at certain times of the day a alarm will go off which lets everyone know you will be slimmed! Its a great way to enjoy the family as well as get some fun pics. The pics I have here are the other pool which is on other side and open during the weekends, it has a play area for the kids as well. So next time your in Florida come stay at the Nick Hotel! 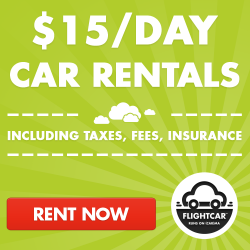 You can place your booking by clicking here. 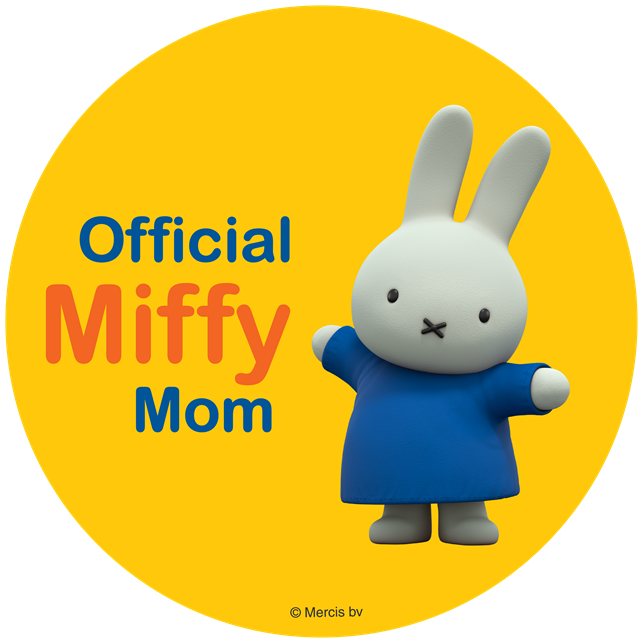 Also visit the Nick Hotels Facebook page and keep up with other fun events. Check out the TMNT on Nickelodeons page here. 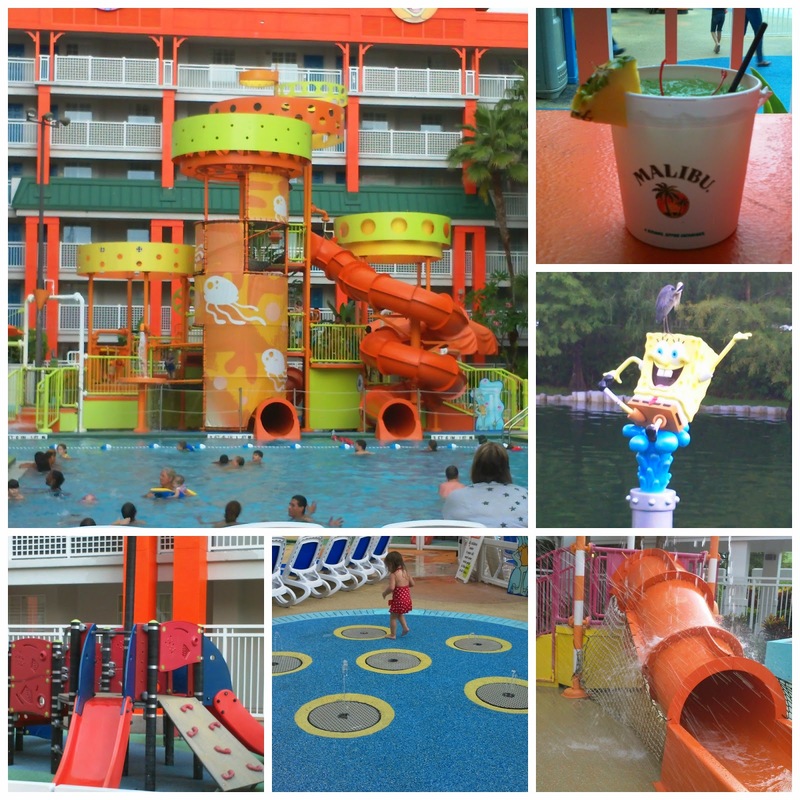 While staying at the Nick Hotel during the Summer of Shell make sure you share your fun on twitter with #Summerofshell!